ATLANTA Mercedes-Benz USA (MBUSA) today reported January sales of 22,507 Mercedes-Benz models. Mercedes-Benz Vans reported January sales with 1,214 units and smart reported 83 units, bringing MBUSA to a grand total of 23,804 vehicles for the month. Mercedes-Benz volume leaders in January included the GLC, C-Class and E-Class model lines. The GLC took the lead at 4,908, followed by C-Class sales of 4,676. The E-Class rounded out the top three with 3,258 units sold. January sales of Mercedes-AMG high-performance models totaled 2,882 units, up 17.4% compared to the same month last year. Separately, Mercedes-Benz Certified Pre-Owned (MBCPO) models recorded sales of 10,143 vehicles in January, an increase of 7.5% when compared to the same month last year (9,437). 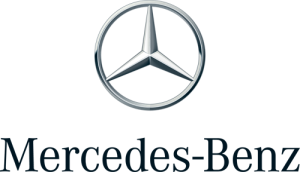 Mercedes-Benz USA (MBUSA), headquartered in Atlanta, is responsible for the distribution, marketing and customer service for all Mercedes-Benz products in the United States. MBUSA offers drivers the most diverse lineup in the luxury segment with 15 model lines ranging from the sporty A-Class sedan to the flagship S-Class and the Mercedes-AMG GT R.
MBUSA is also responsible for Mercedes-Benz Vans and smart products in the U.S.